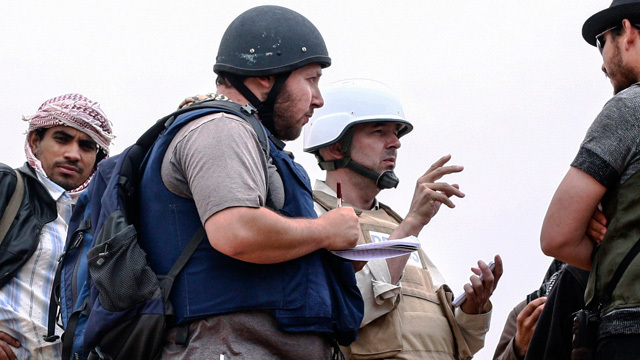 The Islamic State (ISIS) on Tuesday released a video claiming to show the beheading of American journalist Steven Sotloff, who was captured in Syria over a year ago. The news comes just two weeks after the murder of journalist James Foley by the same Islamic militant group. Meanwhile, the United States continues to launch airstrikes in Iraq against ISIS. Phyllis Bennis, fellow at the Institute for Policy Studies, director of the New Internationalism Project which focuses on U.S. policies in the Middle East, and author of books including "Ending the Iraq War: A Primer"